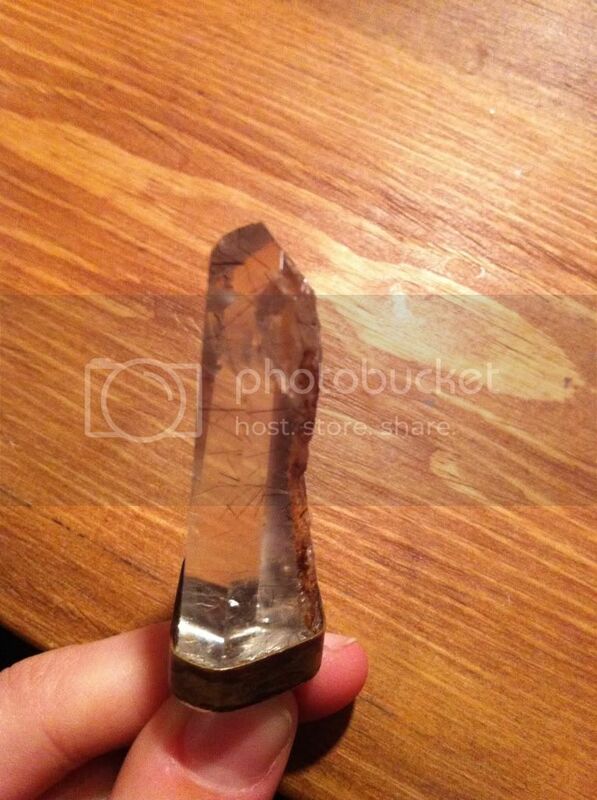 hello, I have been searching for answers much less a place to ask questions about what kind of quartz crystal is this. 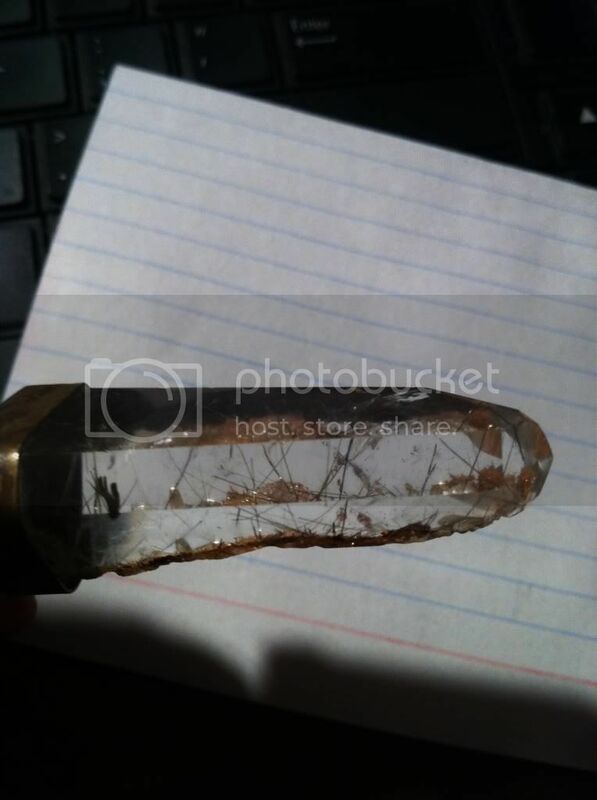 I added direct links to some images but it is a simple quartz crystal with some kind of clear/burnt orange/brown mineral growth con-caving in the back. Also, there are black, hair like objects growing upward(I am guessing rutilated quartz). 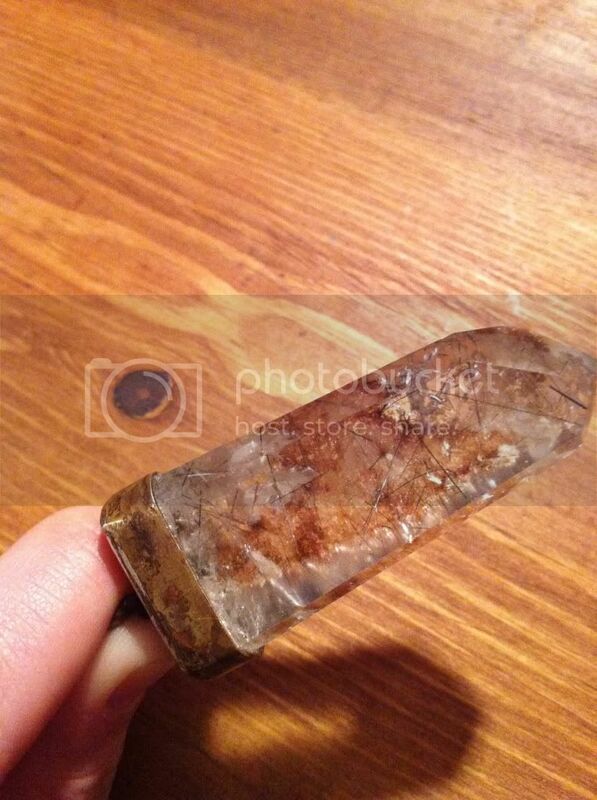 Any information on what this form of crystal is would be much appreciated. 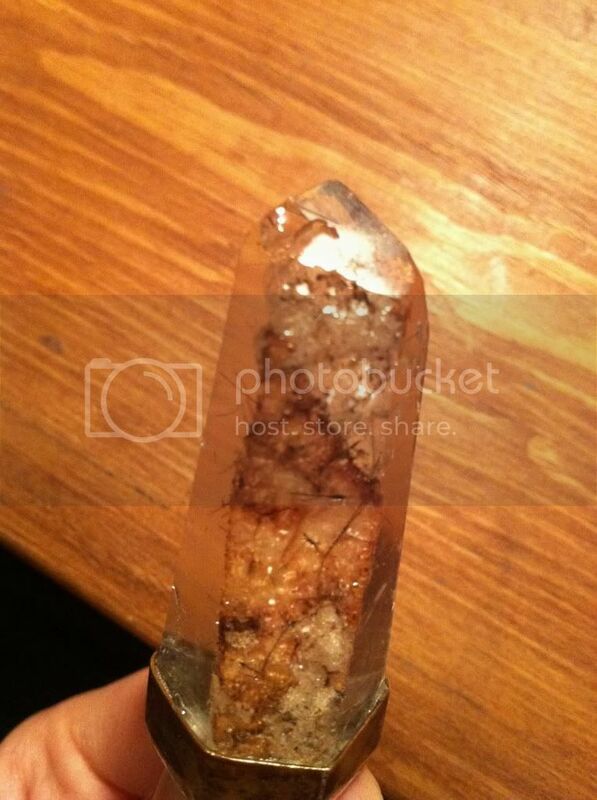 Hi, It looks like those are tourmaline inclusions in quartz. This is sometimes called tourmalinated quartz. 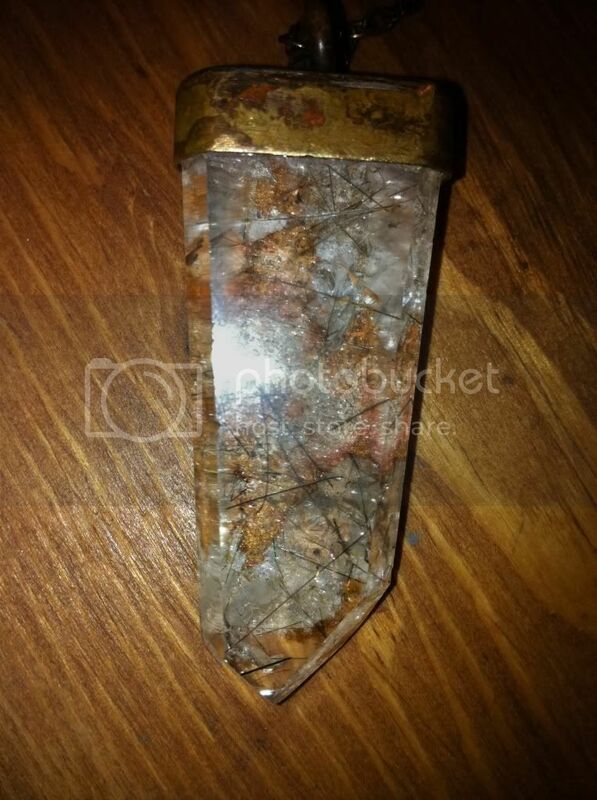 I couldnt identify the exact color from the photos - if they are golden needles, then its rutilated quartz, and if the needles are black then its tourmalinated quartz.